ibotta Changes Means More Earnings For You! You are here: Home / Finance / ibotta Changes Means More Earnings For You! ibotta updated last night and changed a lot of stuff! As you complete Bonuses, you will unlock even more! Be on the lookout for hidden surprises. Every new user can earn an extra $2 for redeeming 2 offers within the first 2 weeks of registering. Now’s a great time to join Ibotta! 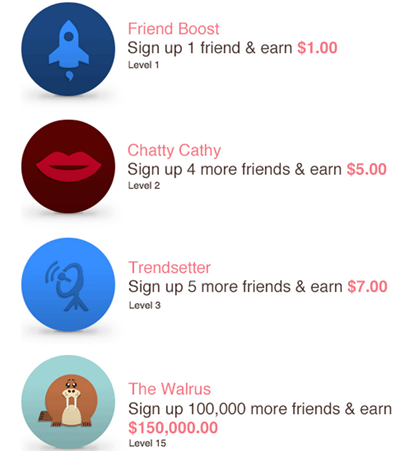 Earn and unlock new Friend Bonuses as you sign up your friends. Every time you complete a Friend Bonus, you earn real cash and unlock another one. New offers which can be redeemed in specific retailers only. Go to the Main Menu in the Ibotta app to discover your Store Extras. If you have signed up for ibotta already – check it out now to see all of the changes! If you haven’t signed up, yet, check out this ibotta tutorial and get started earning cash for what you already buy!